SWITZERLAND, Zurich — Ever since Truther.org revealed that the CIA in Switzerland created ISIS as political cover for nuclear and biological terror attacks, the Swiss CIA has been grooming Russia for nuclear and biological attacks that will predictably lead to World War III. Since the 700-year cover of the CIA in Switzerland was officially blown for the first time in history by whistle-blower journalist David Chase Taylor in his shocking new book “Greenland Theory: Apocalypse Now” (2014), the Swiss CIA is beyond desperate to start World War III. In other words, the Swiss CIA is desperately trying to trigger a nuclear war between the U.S. and Russia so that information about Switzerland’s secret role as the progenitor of assassinations, terror attacks and wars will be lost in the aftermath of World War III. Consequently, the Swiss CIA is now in a race against time to destroy the world as we know with U.S. and Russian nuclear attacks in a last-ditch effort to cover-up the news that the CIA is located in Switzerland, the eye of the storm which has been free of terror attacks and war for over 500-years. 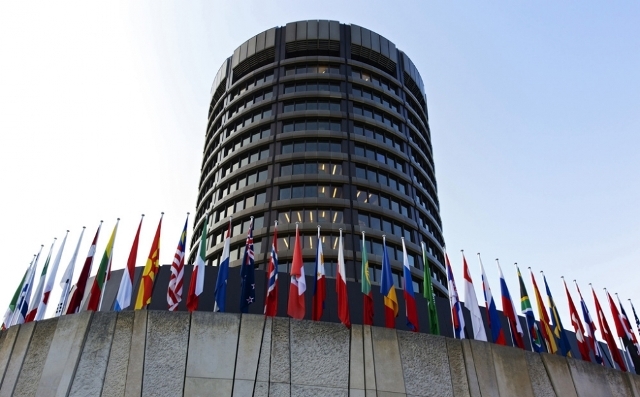 It is imperative to note that NATO, Russia, and the United States are under the command and control of the CIA in Switzerland, all of which are indirectly funded by the Bank for International Settlements in Basel, Switzerland. Although Switzerland is publically calling for a nuclear-free world, they are secretly setting up the United States and Russia for World War III that will likely be sparked by a false-flag attack or invasion in Alaska, Poland, Sweden and/or Ukraine. In the event that World War III commences Switzerland is ultimately responsible. Exactly one month before the aforementioned book “Greenland Theory: Apocalypse Now” (2014) was published on December 21, 2014, Forbes published a report on November 21, 2014, entitled “Does Russia Think Their New Nuclear Weapons Could Win A War?”. This was the first-ever report identified by Truther.org which foreshadowed an unprecedented and unprovoked nuclear strike by Russia. Ever since revelations where made public that Switzerland harbors the CIA, the international media (which operates at the behest of the CIA) has been inundated with the Russian nuclear attack narrative. For example, it was reported back on March 15, 2015, that Vladimir Putin stated that Russia is preparing to use nuclear weapons “if necessary”. Roughly 5-months later on April 2, 2015, Putin again threatened nuclear war in order to drive NATO out of Baltics and defend Crimea in Ukraine. It is imperative to note that the latter two reports invoking Ukraine and a nuclear attack are key because aside from the United States, Ukraine is most likely NATO country to suffer a Russian nuclear strike. 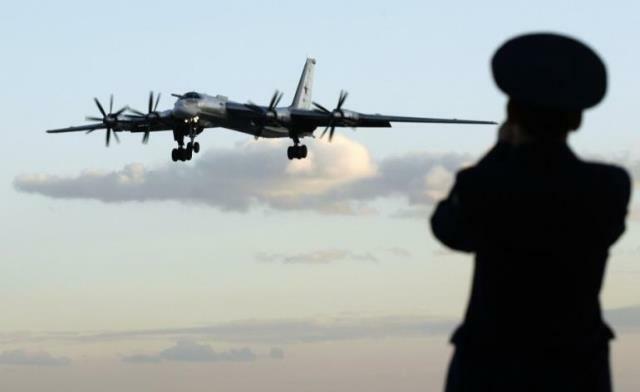 Roughly a month later on May 1, 2015, it was reported that Russia conducted a nuclear bomber flight near Alaska, conforming, albeit in a de facto manner, that Russia is actively practicing a nuclear strike. 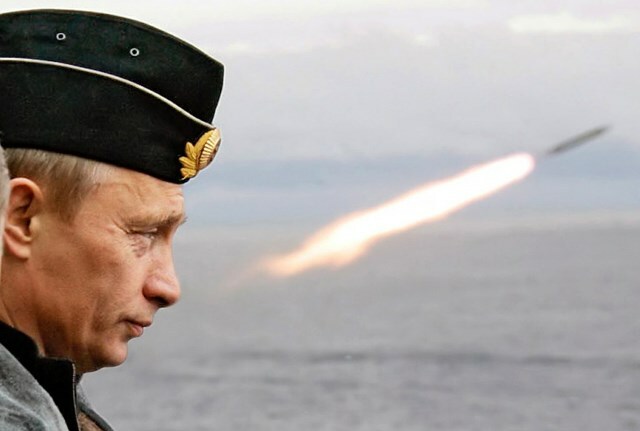 Roughly 4-weeks later on May 27, 2015, a NATO general warned that Russian President Putin is a “dangerous gambler…willing to use nuclear weapons”, an apparent preview of things to come. The notion of a nuclear conflict between the U.S. and Russia was foreshadowed in a Russia Today report from June 7, 2015, entitled “UK Could Host US Nukes to Counter Increased ‘Russian Activity’”, as well as a Telegraph report entitled “Nuclear Missiles Could be Sited Again on British Soil in New ‘Cold War’ with Russia”. In what appears to be an ominous sign of things to come, the Daily Star published a report on June 8, 2015, entitled “Armageddon Strikes: Massive Cloud Sparks Russian Nuclear Attack Panic”. A day later on June 9, 2015, a CIA-spawned publicity stunt was enacted by intelligence operative Mark Dice who created a petition to nuke Russia. 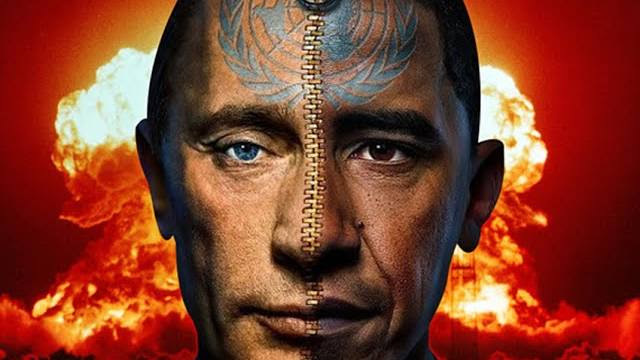 Three days later on June 11, 2015, Russia Today published a report entitled “US and Russia ‘Playing Nuclear Chicken with Each Other’”, confirming, albeit in a de facto manner, that nuclear war between the two nations is imminent. A day later on June 12, 2015, it was reported that people in Moscow widely oppose the fake petition to nuke America, further raising the specter of nuclear war between the two countries. 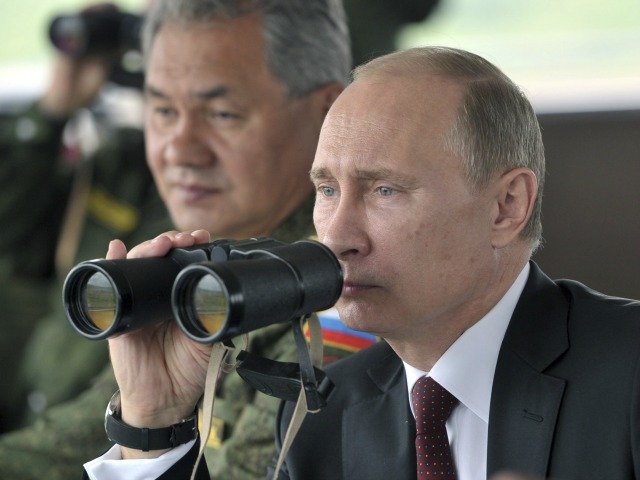 Four days later on June 16, 2015, Russian President Putin reportedly stated that Russia will get 40 new intercontinental missiles this year, all of which are nuclear in nature. 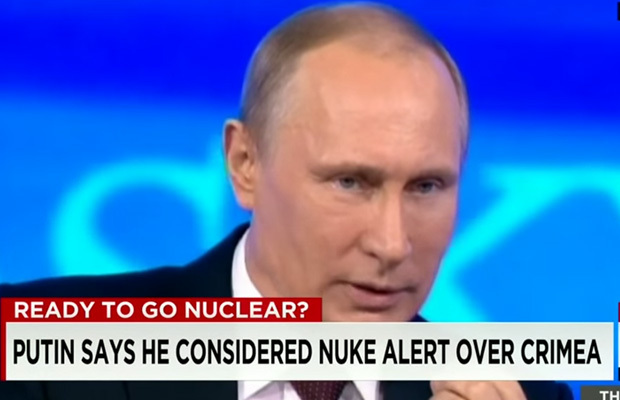 Four days later on June 17, 2015, Kremlin officials stated that Russia’s nuclear buildup is being forced by the West. Three days later on June 20, 2015, Putin stated that the world was no closer to Cold War-style nuclear standoff, raising the notion of a nuclear confrontation just prior to its fruition in reality. Three days later on June 23, 2015, Russia Today published a report entitled “The Pentagon Goes Nuclear on Russia” which stated that Russian submarines off the coast of America could engage in a “nuclear turkey shoot”, knocking out every major American city within a few minutes. That same day, June 23, 2015, it was reported that the Pentagon is rushing to open a new Space-War Center to counter Russia, a report designed to invoke the notion of Russian-based intercontinental ballistic nuclear missiles which travel through space. Lastly, on June 25, 2015, Reuters published a report entitled “Russia ‘Playing with Fire’ with Nuclear Saber-Rattling”, further inferring that a nuclear conflict between the U.S. and Russia is now in play by the CIA. Prior to World War III between NATO and Russia, the Russian military must get their soldiers and equipment ready for battle. War games are in essence practice for war and they have been occurring at an alarming rate. 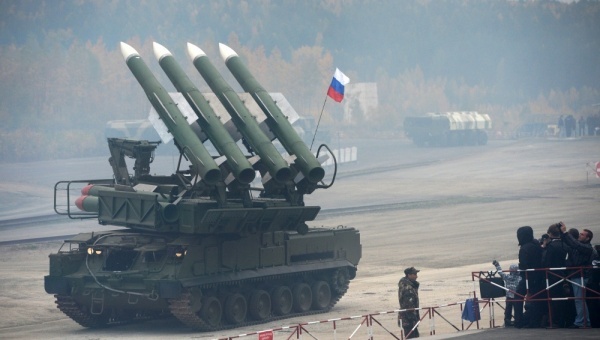 The notion that Russia is actively training for an attack on NATO was first identified back on March 7, 2014, when the Pentagon confirmed that Russian is now conducting air defense drills that will conclude with live fire exercise. Two days later on March 9, 2015, it was reported that Russian jets are practicing “attack scenarios” on NATO ships, further foreshadowing a Russian-based attack, possibly nuclear in nature. Roughly a month later on April 30, 2015, it was reported that Russia and China will hold their first-ever joint naval drills in the Mediterranean in May 2015. Lastly, on May 25, 2015, it was reported that Russia launched a massive air force exercise with 250 aircraft, further foreshadowing the notion of a Russian-based aerial attack. Considering that war games have a tendency to go live, an armed conflict between NATO and Russia could commence at any time. Prior to World War III between the United States and Russia, the U.S. and NATO must get their soldiers and equipment ready for battle. War games are in essence practice for war and they have been occurring at an alarming rate. The notion that the U.S. and NATO are actively training for an attack on Russia was first identified back on March 9, 2015, when it was revealed that 3,000 U.S, troops are headed to Eastern Europe for military exercises. Roughly 3-months later on June 5, 2015, U.S. Secretary of Defense Carter stated that the U.S. must boost military exercises in Europe to counter Russia. 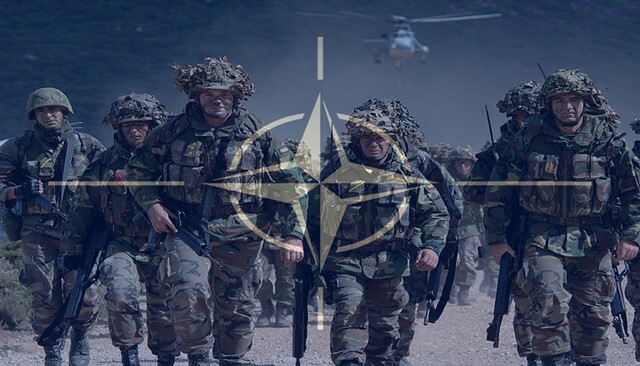 Participating members in the following 7 NATO war games include but are not limited to: Belgium, Estonia, Germany, Latvia, Lithuania, NATO, Netherlands, Norway, Poland, Sweden, the United Kingdom and the United States. Considering that war games have a tendency to go live, an armed conflict between NATO and Russia could commence at any time. The NATO war game Siil-2015 or “Hedgehog” was the “largest-ever” military drills in Estonia which concluded on May 15, 2015. The drill reportedly involved 13,000 military forces from Belgium, Estonia, Germany, Latvia, Lithuania, NATO, the Netherlands, Poland, the United Kingdom, and the United States. 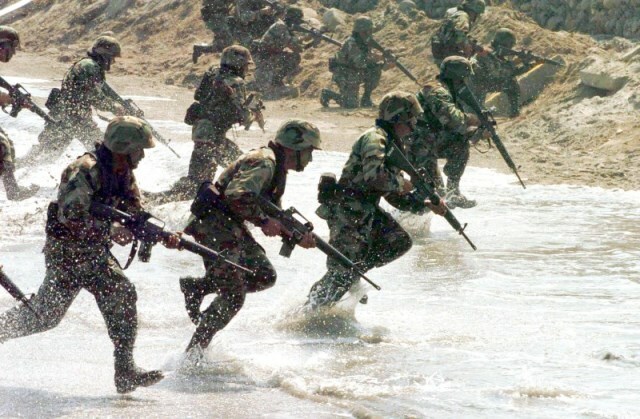 The NATO war game “Lightning Strike” or “Zaibo Kirtis”, which reportedly involved over 3,000 troops, was largest drills ever executed by Lithuanian Army. The drill focused on joint action by the army and civilian authorities against so-called hybrid threats combining both military and non-military methods of fighting. The NATO war game “Dynamic Mongoose” is an annual NATO anti-submarine exercise involving Norway, Germany, Sweden and the United States. About 5,000 servicemen from 10 NATO countries took part in the drills that employs the use of sub hunts, surface vessels, aircraft and a variety of radar and sonar technologies. The NATO war game “Nobel Jump 2” concluded on June 19, 2015, in Poland. The drills featured some 2,100 soldiers from nine NATO states, including soldiers from the “Very High Readiness Joint Task Force” (VJTF) which was created at the 2014 NATO Summit in response to a perceived threat from Russia. The Noble Jump exercise was first time that high-readiness units are being deployed under the new VJTF framework. The NATO war game “Allied Shield” concluded on June 20, 2015. The drills reportedly involved some 15,000 troops from 19 allied states and three partner nations. The NATO war game “BALTOPS” concluded on June 20, 2015. The drills, which reportedly involved some 50 vessels from 17 countries and 5,600 troops, featured anti-submarine warfare, air defense, interception of suspect vessels and amphibious landings. The U.S. military war game “Northern Edge 2015” was executed in June of 2015. The drills, which reportedly involved more than 200 aircraft and 6,000 U.S. soldiers from all four branches of the military, featured naval exercises in the Gulf of Alaska, as well as the deployment of ground troops. In order to set the precedent for an unprecedented nuclear attack by Russia, a narrative has been created in the media by the Swiss CIA that Russia is responsible for a wave of cyber-attacks against the United States, setting the precedent for a far greater attack. This particular narrative was first identified back on January 18, 2014, when it was reported that Russia created the ‘BlackPOS Malware’ to hack Target and Neiman Marcus. Roughly 3-months later on April 8, 2015, it was reported that Russia hacked the Obama White House. Roughly 2-weeks later on April 23, 2015, it was revealed that Russians hacked the Pentagon’s network. Two days later on April 25, 2015, it was reported that Russian hackers read Obama’s unclassified emails. Roughly 3-weeks later on May 14, 2015, it was reported that Russian hackers are now targeting U.S. banks. Less than 2-week later on May 27, 2015, it was reported that the IRS now believes that a recent cyberattack on its network originated in Russia. The notion of a Russia-based attack was foreshadowed by Russian President Putin on June 6, 2015, when he stated that “Russia would attack NATO only in mad person’s dream”. Lastly, on June 9, 2015, it was reported that the television station ‘TV5 Monde’ was attack by Russia-based hackers. In the event that Russia launches nuclear strikes against NATO, the world’s TV stations will likely be simultaneously hijacked by a cyber-attack so that the world will collectively witness the nuclear detonation on live on TV. Whenever blood must be spilled by the CIA, disputed areas like Crimea (Eastern Europe), Jerusalem (Middle East), Kashmir (Central Asia) or the Senkaku Islands (Asia) are suddenly inflamed by the CIA through the television channels which they control outright. Consequently, politicians, soldiers and militaries equipment are moved like pawns in the global scheme run by the Swiss CIA. In respect to the impending World War III scenario between the U.S. and Russia, Truther.org has identified 4 flashpoints that may suffer an attack, invasion or nuclear strike. Since Alaska borders Russia to the East, it is the most likely region of the United States to suffer a direct attack or invasion. This particular notion was foreshadowed back on May 1, 2015, when it was reported that Russia conducted a nuclear bomber flight near Alaska, conforming, albeit in a de facto manner, that Russia is actively practicing a nuclear strike, possibly on Alaska. The U.S. war game “Northern Edge 2015” was also executed in Alaska in June of 2015. The drills reportedly involved more than 200 aircraft and 6,000 U.S. soldiers from all four branches of the military. Considering that Ukraine, a NATO nation, was already invaded by Russia during the crisis in Crimea, it’s the most likely country in Europe to suffer a Russian attack and secondary invasion. Based on recent news in respect to both Ukraine and nuclear warfare, a nuclear strike in Ukraine now appears to be in order. This particular narrative was first identified back on March 15, 2015, when Putin stated that Russia was preparing to use nuclear weapons “if necessary” while simultaneously blaming the U.S. for the crisis in Ukraine. Roughly 5-months later on April 2, 2015, Putin threatened nuclear war in order to drive NATO out of Baltics and defend Ukraine. Roughly a month later on April 28, 2015, it was reported that forest fires were heading for Chernobyl nuclear plant in Ukraine. Roughly a month later on June 5, 2015, Russia Today published a report entitled “Kiev to Allow Foreign Armed Forces in Ukraine, incl. ‘Potential Carriers of Nukes’”. These 4 reports, taken collectively, suggest that a Russian-based nuclear strike on Ukraine is imminent. The nuclear attack will likely happen just prior to, during, or right after the U.S. led NATO invasion of Ukraine. In order to foreshadow further Russian aggression in Ukraine, CNN published a report on June 11, 2015, entitled “U.S. Ambassador to U.N. 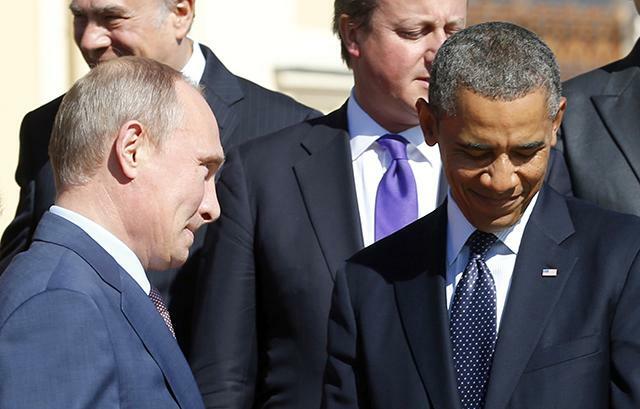 Visits Ukraine, Slams Russian ‘Aggression’”. Four days later on June 15, 2015, traitorous Infowars published a report entitled “Why Does Pentagon Need Laboratories in Ukraine?”, starting that the “next stage of development of Ukrainian democracy might be an accidental outbreak of a virus”. In a clear sign that war in Ukraine is imminent, it was reported on June 18, 2015, that Iraq War criminal Tony Blair will take on an advisory role in Ukraine. Three days later on June 21, 2015, Ukraine’s Right Sector rejects the Minsk deal, calling for a renewed offensive in Ukraine. The notion that war is about to break out in Ukraine was confirmed on June 22, 2015, when it was reported that the U.S. will provide weapons for NATO commandos to attack Ukrainian separatists. That same day, June 22, 2015, it was also reported that a member of Kiev’s top brass ‘defects’ to anti-government forces. Although only conjecture, it’s highly likely that the traitorous general will lead the opposition to Russia in the coming war. Lastly, on June 23, 2015, the Guardian published a report entitled “EU Extends Sanctions against Russia as Ukraine Conflict Rumbles On”. Although the conflict in Ukraine has been dormant for months, it apparently going to get a shot in the arm.